Vamps has never been anything more than a kid on the streets, but when those streets become a war zone, he and his childhood friends are forced to step up and become heroes - not an easy thing to do for a bunch of gangsters. It doesn't help matters that a rival gang is also out for their blood and that a group of humans seem to be helping the enemy. Hernandez is a US Navy Lieutenant with a bright, neatly planned future. 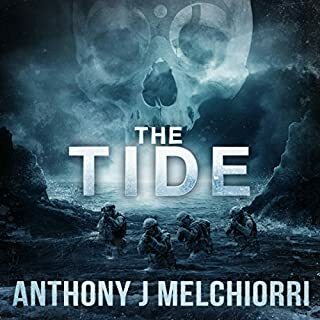 That is until the world ends and a chance encounter with a rogue Coast Guard Captain leaves his future in disarray. It will take a lot of hard work, planning, and manipulation to take back the reigns of his destiny, and punish those who have crossed him. Richard Honeywell is a police office at a time when being a police officer is the least safe thing a person can do. The world is at war, but Richard still has a duty to keep the peace and protect the citizens of the United Kingdom. Yet, how can he do that when his own family are in danger? People are looking to him for leadership, but how do you lead army of civilians to certain death? The world must come together and fight back against the unstoppable Legions of Hell, because no one is coming to help them. The monsters are real and they will not stop. Welcome to Hell. 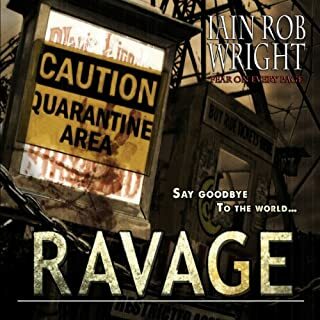 This was a great second book in a series!A lot of the same stuff going on,but who doesn't like zombies,sea demons and giants killing people and a complete let down of society?Nigel Patterson,always a terrific narrator,does a great job with the material.I am hoping for a book 3.I was given this book by the author,narrator or publisher for free. 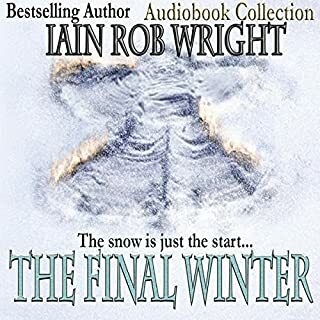 I devoured book 1 of this and couldn't wait to listen to this one as 2 ended on a cliffhanger of sorts. Well, this was just as good!! While this is book 2, it also tells the stories of some of the minor characters from book 1 from when the rocks first appear and continues on the stories of the major characters of book 1. I absolutely loved that the author did this!! It was awesome to figure out Vamps' story and get to know his ragged group more. We meet Hernandez, whose life doesn't go according to his plans. We meet Richard, a police officer trying to do his job, all the while trying to keep his wife and son alive! We also get to see how Guy, Rick and a few of the other characters are doing. Again, the plot was fast paced and addicting. The gates are spewing out beast after beast, whom are all but unstoppable and humanity is on the brink! What I love about this series is that not only is the plot dark and disturbing, but it tells the story of how humanity will strive to survive, no matter what. Nigel Patterson again did an amazing job! He really is such an easy to listen to narrator and has a pleasant voice. He knew how to amp up the tension in this story and bring it to life. If you're knew to audios, he is a narrator to try. Another very enjoyable tale about demons both human and otherwise. While handling the carnage of a massive demon invasion well, where this story really shines is the characters and their stories within the story. I recommend you read some of his earlier works to fully enjoy this book. While it can stand alone and be worth your time, you're much better off with more back story. May the Lucas be with you. Hell is coming to Earth! Gates have opened all over the Earth and the demons are pouring in. This is worse than the apocalypse talked about in the Bible. The demons are trying to eliminate humanity to weaken God. A few stories from The Gates continue in Legion. 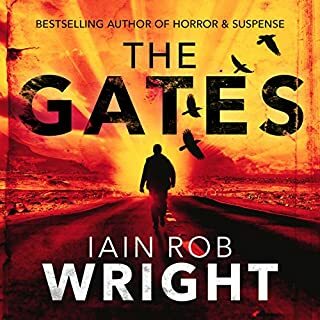 I highly recommend listening to The Gates first! Some people you'd never expect rise up to take on the demons and help their fellow man. 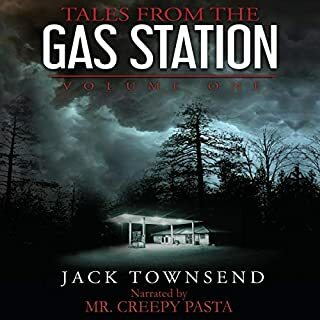 Great narration by Nigel Patterson. I really enjoy his accent. He does a good American accent as well. He did a great job with each of the characters! Looking forward to book 3! 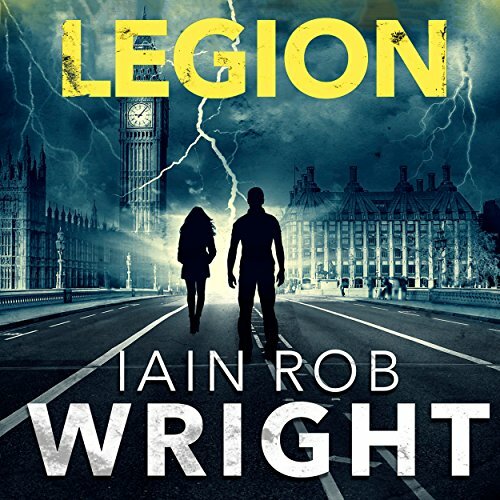 Would you consider the audio edition of Legion: An Apocalyptic Horror Novel to be better than the print version? Definitely. The individual characters come alive with narrator's different tones for them. It's gotta be Vamps. He's the central character of course. Why? Because the author really makes him believable. His different tones of vioce for the "experience". If you could rename Legion: An Apocalyptic Horror Novel, what would you call it? 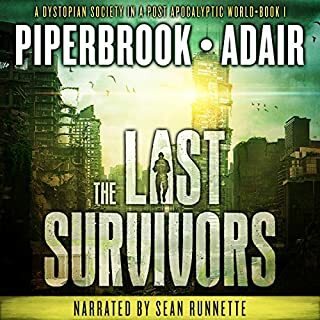 this is one of the best book series I've ever heard and I can't wait to see how it all ends! Have no idea what the final few chapters were about. Shame that Dylan and his dad didn't die horribly. Enjoyed the first 19 chapters. Preposterous plot, filled with cliches. Naff characters, embarrassing national stereotypes, awful narration, laughable dialogue. COULD NOT STOP LISTENING. This is actually a really interesting and well thought out story. Nigel Patterson's performance is pretty good too if you can ignore his horrendous portrayal of Vamps and the accents of the urban London gangs. He makes them all sound like 50+ yr old van drivers. That aside, well worth a listen.